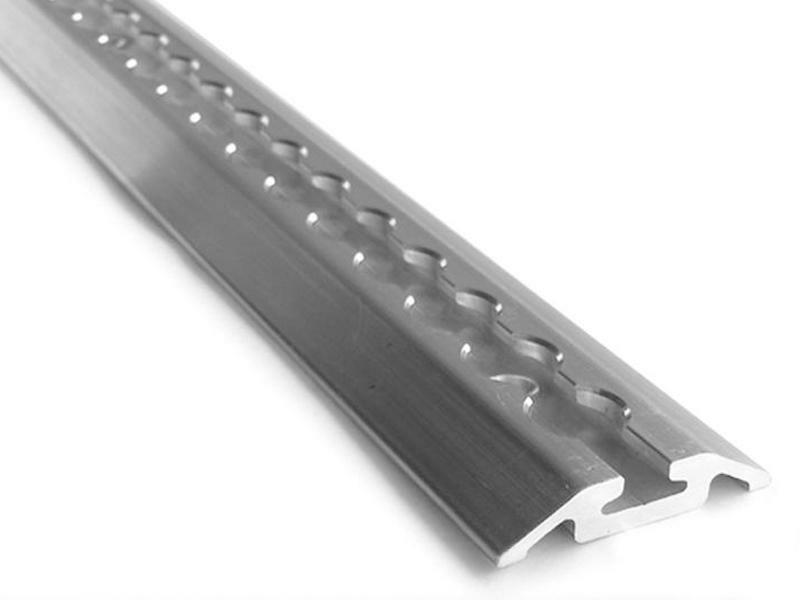 12 inch long by 2 inch wide aluminum channel. Perfect for floor mounting and beveled for a easy walk/ride over design. Does not include load rings.